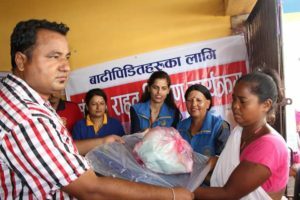 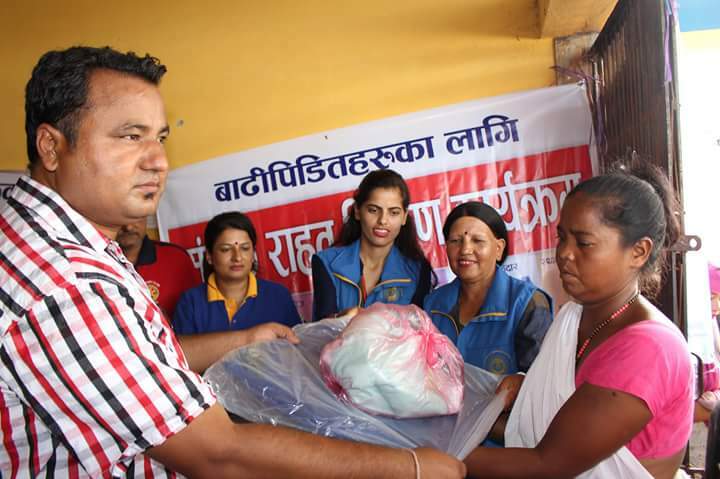 Soroptimist Kathmandu, Nepal started the relief distribution programs for flood affected people in Morang District with the joint effort with other organizations (Rotary Club, RUWON Nepal, Overseas Nepalese Forum (ONF), USA , local media partner Makalu TV and Redio Purbanchal) through Pariwartan Khabar Relief Fund. 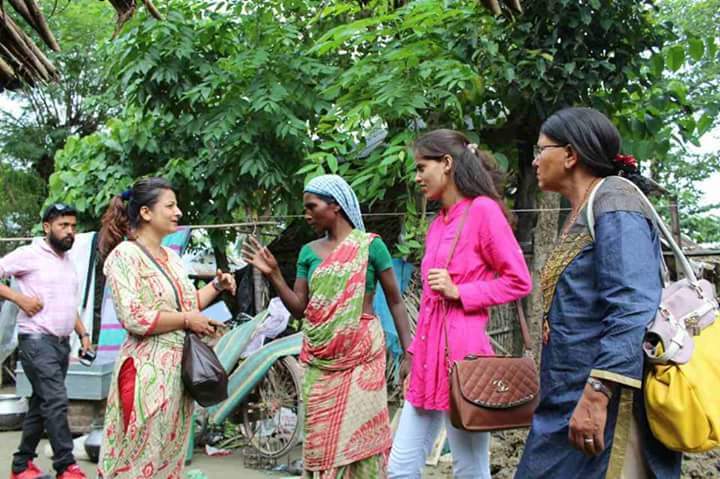 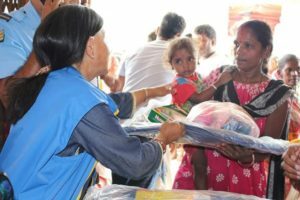 This relief program coordinator is www.pariwartankhabar.com a non-profit media company. 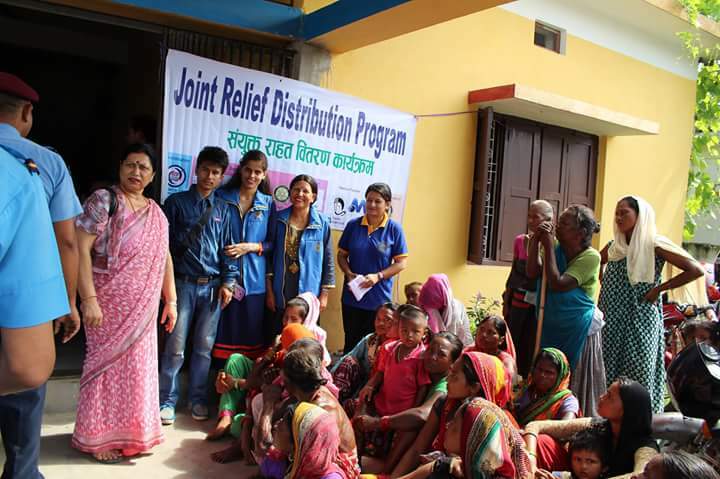 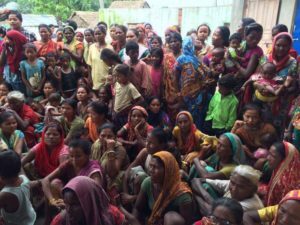 We are able distribute the relief material to 566 family in three different place Rangeli Municipality, ward No. 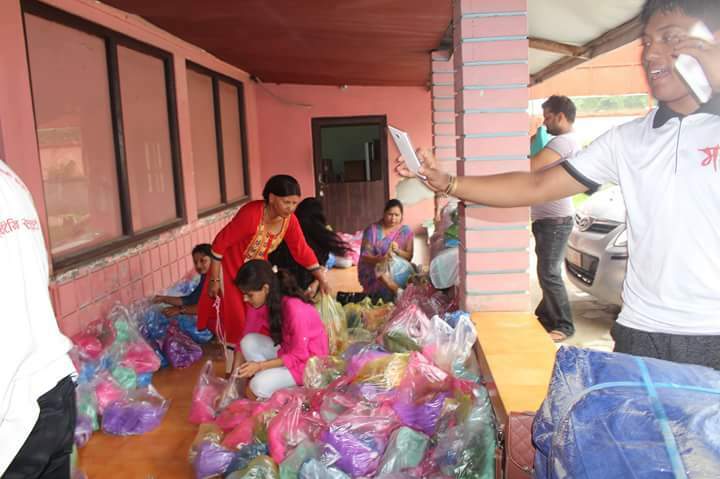 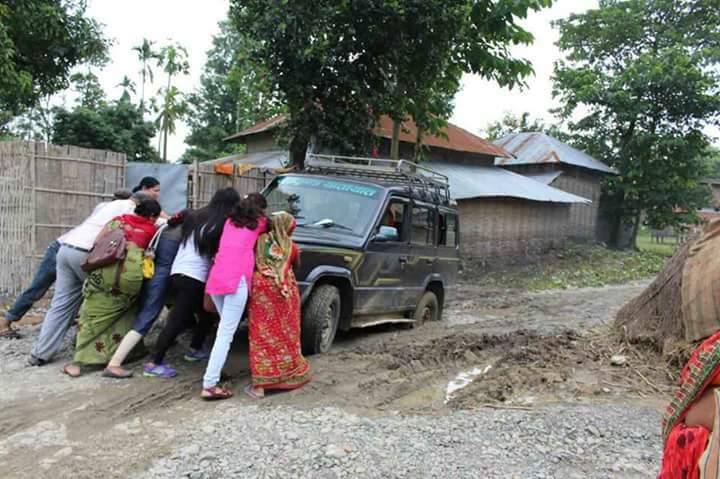 1, 400 family, Jahada Gaupalika Ward No. 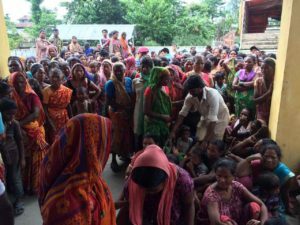 1 and 2, 100 family and Biratnagar Metropolitican City ward No 8, 66 family) of Morang district in eastern Nepal. We have focused more for women and children in our relief package. 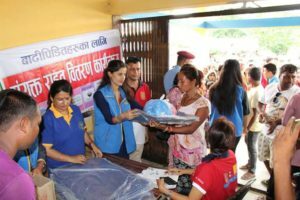 So we have provided mosquito net, Tripal (CANOPY), Clothes for women, washing and bathing shops, and sarbotam pitho/ lito (Vegan Diet) for children. We are so happy that we could able to support these people but still we are trying to reach more people because there is more need. 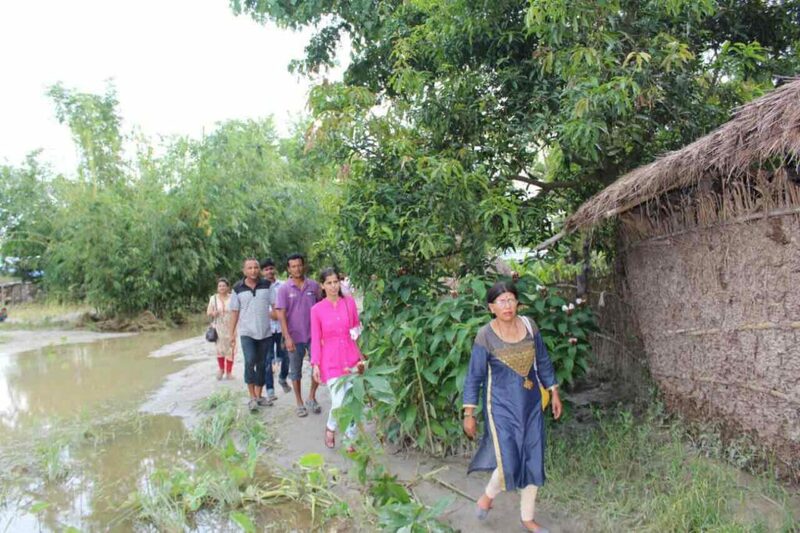 People are living outside in the street and some of the communities place such as schools, temples and other public’s places. They lost everything with their houses. 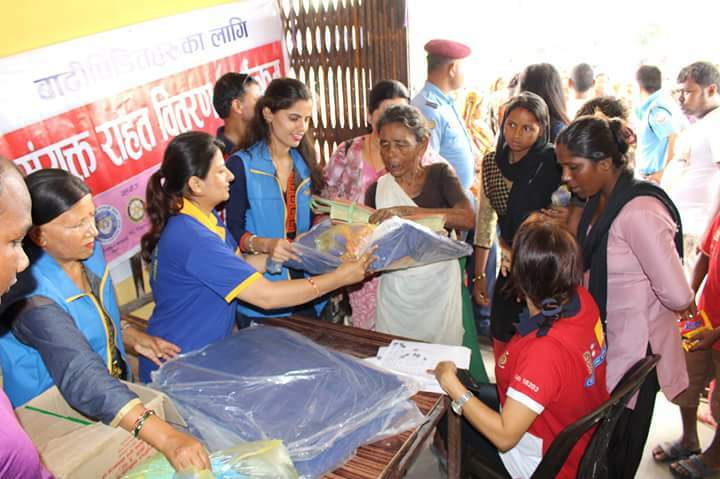 The women, children and old age people are in more need so our more focused will be for them in coming days as well. We hope your support to reach more people in danger areas and need.